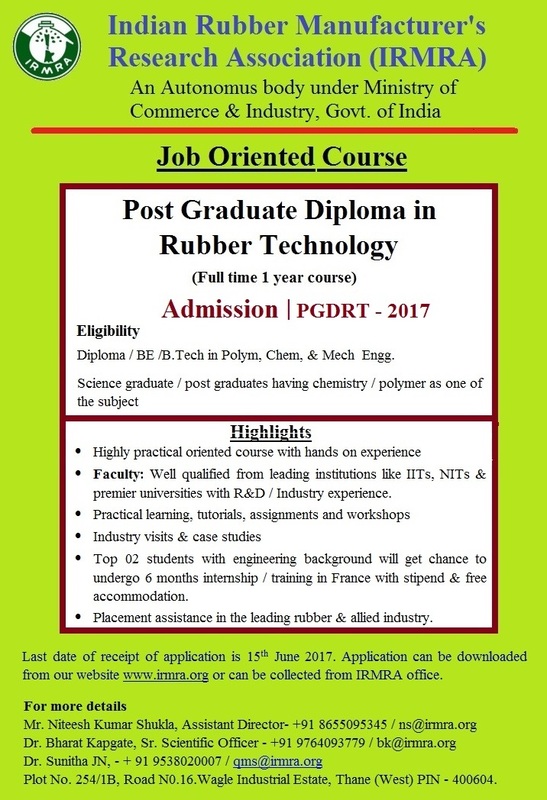 A very few people in India are aware of the “Rubber Technology” as an emerging career option. India has now over 7,000 rubber manufacturing units (including big tyre industries) and with the increasing number of automobiles and increasing use of rubber products in industries, rubber technology has become a lucrative career option. Rubber industry is looking for persons with high technical and management skills. 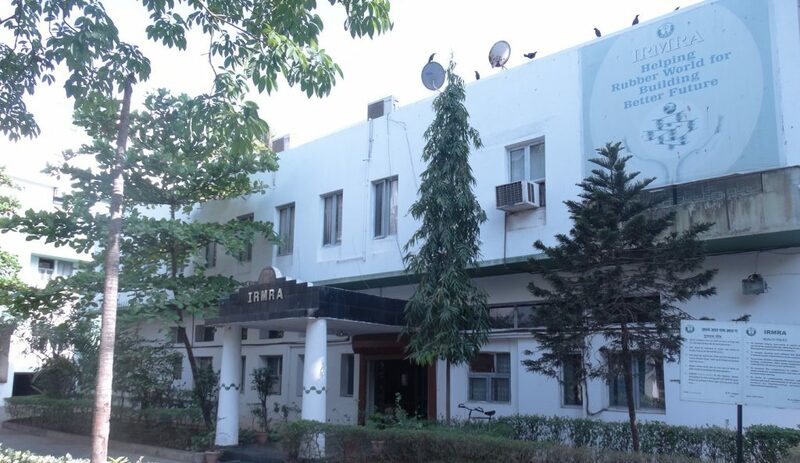 In view of this Indian Rubber Manufacturer’s Research Association (IRMRA), Thane, Autonomous body of Government of India, has now started academic courses to create skilled and technology experts for the Rubber Industry & tyre manufacturers. IRMRA in collaboration with top ranked Business School: Universal Business School (UBS), Karjat is introducing a high learning course on “Post Graduate Programme on Rubber Technology and Management” (PGPRTM). A unique program designed by Rubber Industry for Rubber & Allied Industry to create management and technology experts for the Rubber Industry & tyre manufacturers.